Everything I’ve learned from coaching and hearing from Twin Flames all over the world has shown me this incredibly important thing: That spiritual soul connections are never just a “regular relationship”. So many struggle on this journey because they try to approach the connection with traditional relationship advice in mind. When we connect with a Soul Mate or Twin Flame, it will always be a journey beyond the “normality” of most human relationships. When we can open up and accept this, and know that the journey won’t be able to be confined into the old ideas of romance, we can truly allow the connection to blossom. It will serve us to accept that a Spiritual Love Connection defies the human stories we may have been told about love and relationships, and what we’ve seen around us in life prior to this. insights and capacity to love and be loved dramatically. Your own soul is always waiting for you to tune in and listen. Let go of preconceptions, shift out of negative energy (3D programming), and you’ll be open to really take in the truths and heightened experiences that have been waiting for you. I was asked to create a session for Twin Flames where we map out and clear the most damaging belief blocks and old-world programming, in order to open up the journey to love and reunion. Have a look here. The problem with this advice is, not everyone is “wired” to be an optimist, not everyone is “programmed” to be able to ‘go with the flow’ in relationships. Many of us carry karmic wounds and early life experiences that make us feel unsafe in opening up to love… So it might not be an instant thing, to open up. Energy clearing is the most effective method I’ve found to deal with this kind of fear based heaviness, emotions and negativity on my journey, and it’s helped so many people who have worked with my methods (read about some of their amazing experiences here). As an “empath” I found the initial part of my Ascension extremely heavy (some of my pillows still have mascara marks from all the crying) until I began using energy tools. As I cleared away the layers of congestion, new light codes were activated. You have the ability to shift out of negativity and open up to the joy of your journey – Ascension is a process to work with, ensure that you are cleansing the heavy energy from your system and regaining control over any limiting mind patterns by using consistent methods and tools. Learn how to uplift your Twin Flame connection into Love and Reunion with this step by step Vibrational Alignment Program I created after my Twin and I reached Union within 18 months of our first encounter. Or alternatively, download the Free Guided Meditations I offer, including a powerful energy cleanse tool from the full program. The human mind is wired for survival, to keep us safe. This means, happy relationships is low on its list of priorities. Opening up to another person is considered extremely unsafe by the deeper wiring of the human brain. 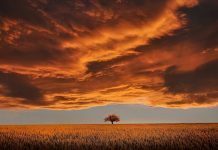 When we awaken to our higher nature, begin to be alerted to the soul’s true path and start making changes to how we operate – often these old parts of the body/brain wiring kick up a fuss in an attempt to rein us in again, away from potentially dangerous new territory and back to what it knows is safe. Learning to listen to the heart’s wisdom, to your intuition, is key to a healthy spiritual relationship. The mind only knows the human “rules” for relationships. The heart knows we can be so much more. The mind cannot feel love, only the heart can. Try thinking about love, you’ll notice it’s like a cardboard-cutout compared to the *feeling* of love. Listen to the wisdom your heart is sending you – it’s always giving you signals of what’s to come, what serves you and what doesn’t. Begin to listen to the heart, which is the center of the electromagnetic output of the human body. The heart is always monitoring what energy you come into contact with. In order to enjoy and grow with your spiritual relationship, go against the current of the strong mental, cerebrally focused energies of the “3D” world. Listen instead to your inner wisdom that goes beyond. Your heart is a loyal guide, an infallible compass – listen to it and allow it to show you the way to your bliss. If you need some help with this go have a look at my Higher Heart Transformation Session where we go deep into the heart chakra, activate your heart, clear out old blocks and infuse you with unconditional love… and more. There is a sacred space between you and your partner when you’re open with each other, connected by love. 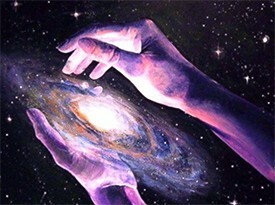 You don’t always need to seek insight and the higher realms “upward” and through mystical rituals, but to seek the divine connection within yourself, within your partner and within the sacred space between you. of light… Spirit wants us to know that “divine” simply means pure. And we are all pure as souls. There is no spiritual hierarchy. Any such has been devised by humans. Find the divinity in your intimate connection – this is where the alchemy of transmuting darkness into love happens. This is where you connect directly to your souls’ light. Nourishing love, lifting ever higher. To learn how to connect with your higher consciousness, try my free guided meditations here where I take you step by step through it. Many people are so drawn in and overwhelmed by the intensity of their spiritual love connection that they lose hold of who they used to be. And although this is natural and understandable, it’s important to center into your own uniqueness, your identity and passions, to center into self love – both for yourself and for the sake of your connection. We’re yet again reminded of the crucial role of self love and self acceptance in spiritual relationships, which always present a “mirror” of our inner situation. Whether you are with your Twin Soul or a Soul Mate – know that they are always unconsciously mirroring back to you what you hold within. It is essential to strive for inner harmony as well as harmony with the other self. And you can help each other with this. Be a loving “teacher” and a loving “student” both. Being in a state of self love is magnetic to attracting and maintaining harmony with your divine counterpart. Go here for a session that helps you with this. If you’re not really feeling self-loving, try starting with acceptance and showing more understanding for your self perceived flaws or weaknesses: “You’re allowed to be both a masterpiece and a work in progress at the same time”. Read more here in The Journey Back To Love. Love is about harmony, unity. We cannot have harmony where there is blame, judgment or resentment. Forgiveness is an essential tool on the spiritual path. It helps us let go of pain patterns and open up to a state of love both inside and outside. The Twin Flame connection is a journey to reach as human beings, the balance we naturally had as souls. To be in harmony no matter how unequal the situation has been before. That’s where the connection of love lies. In the point of precise harmony. 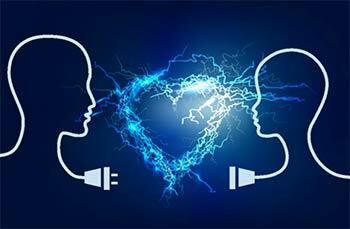 When the energies are aligned, the connection flows and the hearts are open. 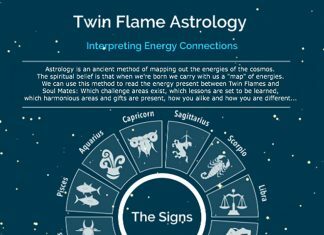 When the Twin Flames are out of alignment, the connection distorts and “breaks up” – literally and metaphorically. 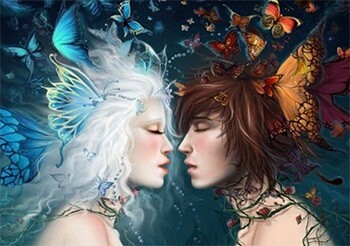 and balance between head and heart, action and inaction, masculine and feminine, the higher and “lower” realms. Discover more here about how aligned your energies are, and whether you’re truly open to the unconditional love and reunion you desire. When we stay focused on the past we keep recreating it. Make sure you stay out of fear, as it will only keep you attracting more of the same. Eradicate limiting thoughts, belief patterns and energies in order to uplift your journey into its highest potential. Detaching from judgment and releasing old beliefs and perceptions can help us invite in new joy, new solutions, new paths to love. Building solid foundations and making sure anything causing instability gets removed for grounding unconditional love into the physical realms. Spiritual Awakening and Ascension becomes so much smoother and lighter when we take responsibility for our part of this co-creation by clearing our energy of negativity and unconscious beliefs and fear patterns like this. If your Twin Flame is a Runner or “Unawakened”, you’ll want to have a look at the latest session I channeled from spirit. In this 45 minute deep session with beautiful meditation music, we go through cleansing both your systems of the heavy “3D” material that’s kept them from full awareness. We also update your Akashic records of past life karma, uplift your timelines and anchor you and your counterpart into the highest dimension possible for you at this time. Plus, we assist your counterpart in triggering your Twin’s own system for a gentle awakening to the truth of love and your eternal connection. Have a look here for more. Approach your love connection as a gift, and it will be one. If you don’t feel open just yet, give it a try first of all – experiment with being open to it, and see it unfold. Write down 5 things you have enjoyed about the connection, and 5 things you’d like to see happen in the future. Most people don’t ever get to experience the kind of heightened love and connection with another person as Twin Flames and Soul Mates do. We are so fortunate to get to experience these depths of love, no matter what complications there may be. The truth is you two wanted to share this, on an adventure of soul and spirit into the human realms of physical matter. You two believed so strongly in your connection and your undying love for one another, that you had no doubt that you would be able to awaken to your core aspect – your soul, your spiritual being – once you came to earth. To share love. You chose this for yourselves. Know that sharing a journey of more and more love together is possible. Do make sure you clear the human baggage and limiting belief systems that tend to get in the way of this – so you are open and able to align with the true potential of your connection. The more conscious we become of our power as infinite souls, the more we can use it to create and experience our highest potential. A simple method is to check in with what you’ve been creating: Have you been moving in the direction of your desires, or are you moving away from them? Think like if you were driving a car – you follow the roads that lead to your desired destination, avoiding turnoffs that would move you further away. This is a key foundational practice for co- creating healthy spiritual relationships. Your earlier thoughts/feelings/patterns/energies/actions have all been a part of creating this now moment and what you’re currently experiencing. So in each now moment, make sure you choose what will lead to your ideal. We’re reminded that if this sounds like an overwhelming task, don’t feel bad because it’s actually simpler than it sounds. It’s only when we try to figure it all out with our minds that it’s difficult. The easiest and best way to think/speak/focus/act in a positive direction, is to sense the feeling of what we interact with: Does something feel good, light, exciting, positive in your relationship? Or Does it feel heavy, congested, low, bad? For one person, the spiritual journey of love can be a pain. For another, it can be a joy . It depends much on your energetic baggage, karma, mental patterns and core belief systems. You are not powerless in the unfolding of your spiritual love connection – you define your own journey more than you might ever have realized. You choose. You are the creator of yourself and your experience. Make sure you let go of the unconscious material that has kept you focused on other people, on society and what’s kept your locked to “playing life by the rules”. And when you embrace the openness of the adventure that awaits you – into the heights of love beyond what you’ve ever experienced… it truly can become an experience where you feel love with every breath. I hope you enjoyed this article! As always I believe in you, and am honored to be on this beautiful path alongside you. Sign up here to get the Free Twin Flame Transformation Kit plus Exclusive info on the upcoming 8th House transit impacting the sexuality of the Twin Flame connection – beginning in September and impacting all of next year 2018…!